450 mg of organically grown marshmallow root powder, with a 4:1 concentration, equivalent to 1,800 mg of dried root. 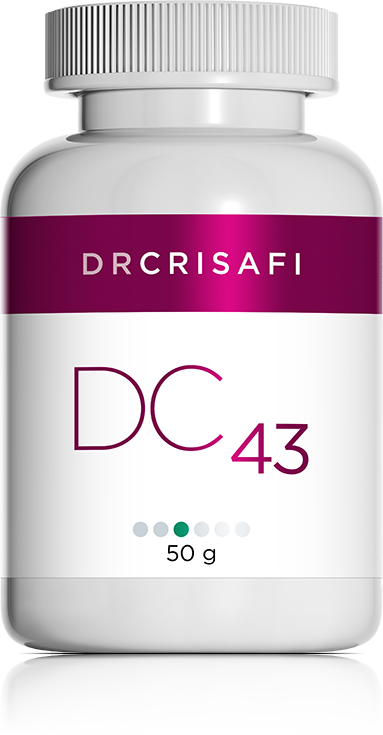 DC 43 (marshmallow root) is used in traditional herbology to soothe inflamed gastro-intestinal and respiratory mucosae, such as in cases of gastritis, peptic ulcers, enteritis or irritable bowel syndrome. It is also effective on respiratory mucosae. In addition, it is used in herbal medicine to soothe irritations of the buccal and pharynx mucosae, and the resulting dry cough. Marshmallow root has been used in a naturopathic formula for over 100 years to treat what is now known as irritable bowel syndrome. It also helps soothe the mucosae of the digestive system. In addition, it is effective in mucosa repair, although less so than DC 16. Soothes irritated mucosae during colds or flu.